Hello everyone! It's been a while. After my second attempt to join bazaar at Tobucil failed, I had a chance to experience something similar. 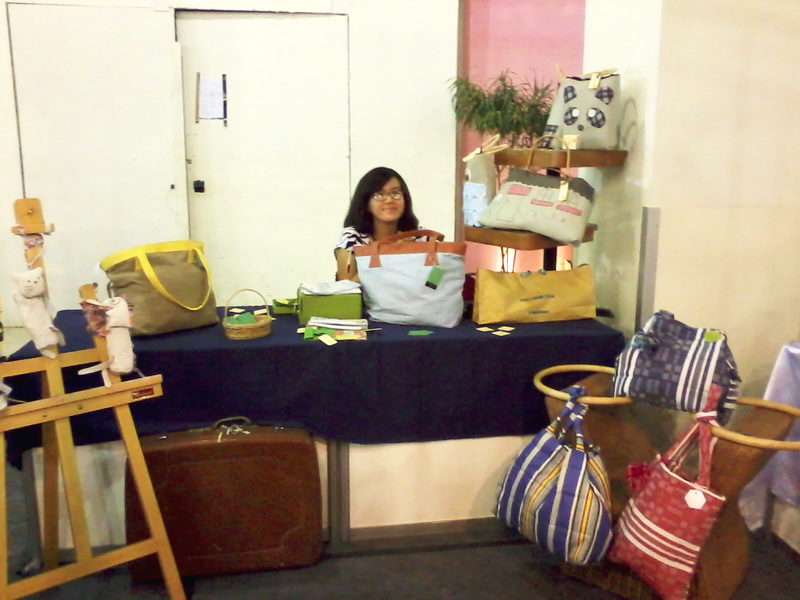 My friend, Nay, held an fashion and craft exhibition at Paris van Java in Bandung. Actually, it was a college assignment, and it had something to do with organizing an exhibition. For more info, check it here. It was on May 12-13 2012. 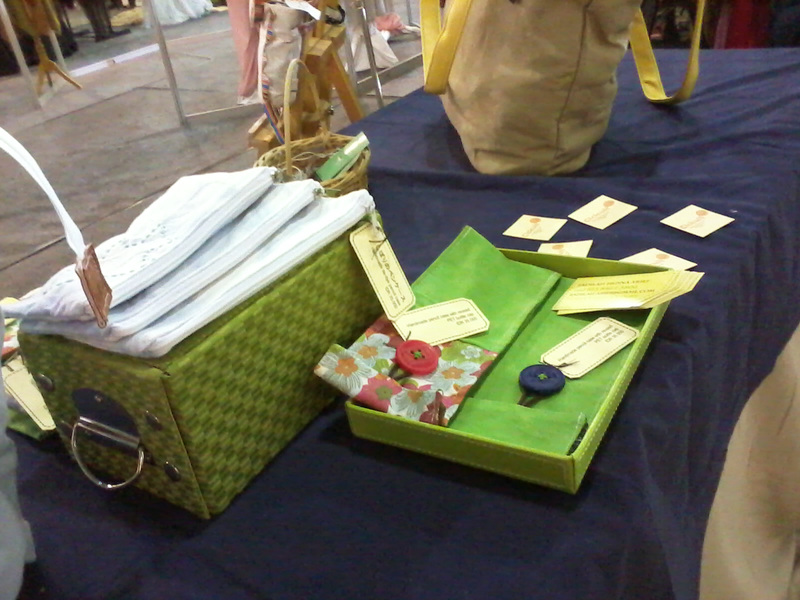 My friend, Ribka, nicely asked me and my friend, Nenden to join her booth. In the end, our booth consisted of five brands. There were Cicicuit from Ribka, Heck from Dian, Dentelle from Nenden, BolsaBag from me, Nenden, Dafira, Mia, and the last one was from me, with no brand (I feel stupid that I didn't make one). In the end, our booth was expanded with Nindya's, Brunn (buluk), Harrison (yodha & friends), and Rlnd (fales). Buluk and Yodha already experienced to open a booth at trademark last month, and they knew the procedures, and the story behind selling in a bazaar. It was a valuable experience to open a booth in PVJ. How we set our shift to take care the booth. Unfortunately, Kaalatraya was not crowded (only some people, including the committee, friends, family, and several actual guests), and we didn't sell many. We spent hours chatting, walk around, joking, praying, and eating. My sleeping rhythm was disordered and I got tired on the first day because I just arrived from Kawah Putih (white crater) on the afternoon. But Ijul, the nervous driver also visited Kaalatraya right after me and Dafira arrived. When I come to a bazaar, or an event similar, I always inspired and want to make something new. It's like recharging my spirit to be more productive. Big thanks for Nenden, Dafira, my BolsaBag friends. Thanks for Dian and Ribka, for letting us join the booth. Thank you for Yodha for the transportation, and Buluk. See you later! I hope I will get the best place to do the internship for this holiday. Happy holiday!